There are a few things that I've come to rely on Amazon for—books (along with an intense feeling of immediate guilt that I should have purchased directly from a bookshop instead), emergency gifts for basically everyone before Christmas and weird household things like light bulbs and batteries that I always forget to buy when I'm at the supermarket. Beauty products? Never. While I might be something of a beauty purist—preferring to shop for my cosmetics IRL where I can swatch and smell or via knowledgable beauty web spaces like Cult Beauty, Space NK (and Who What Wear of course)—there's no doubt that the popularity of Amazon in the beauty and cosmetics arena is ever-growing. In fact, in the U.S., Amazon is the fifth most popular destination for beauty purchases. 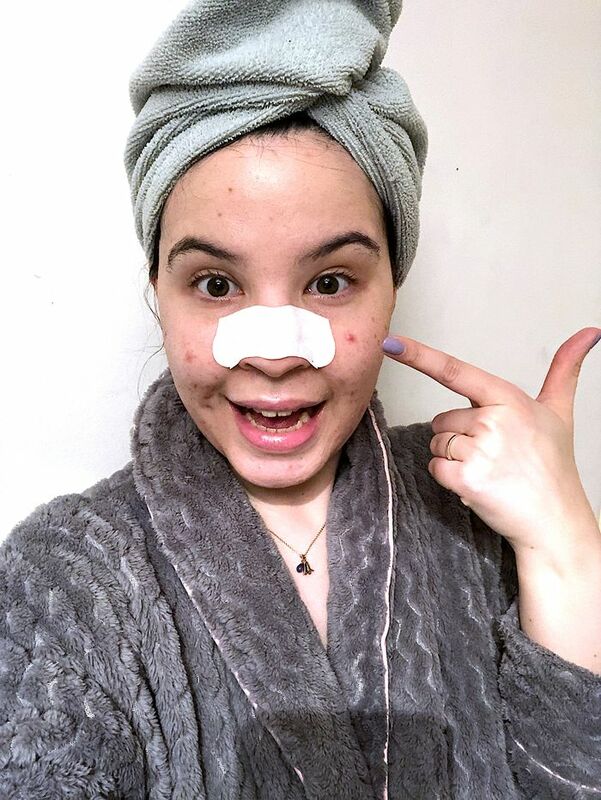 Putting the best-selling Biore pore strips to the test. 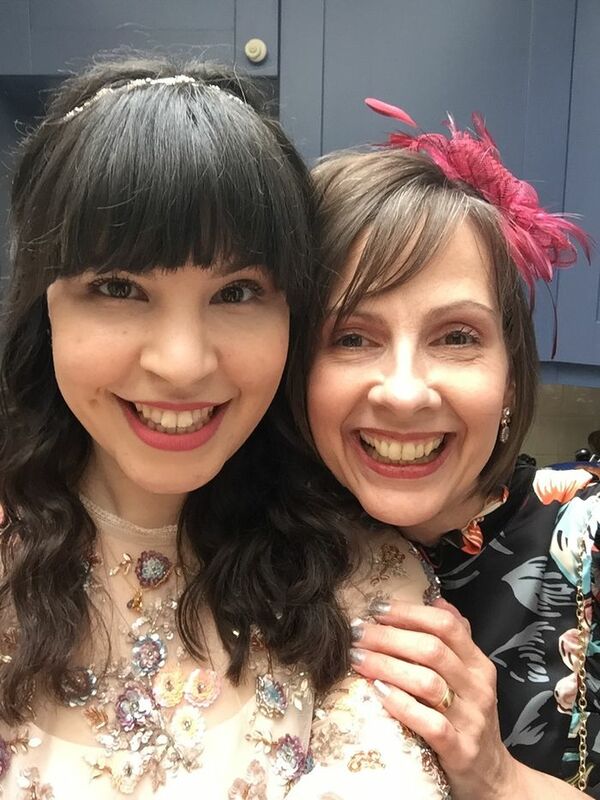 Once I'd put my preconceptions aside and actually checked out the list of beauty best sellers for myself it wasn't hard to see why Amazon is becoming such a popular place to shop for beauty. With great brands like Maybelline, Aveeno and Rimmel London consistently in the top 50, it makes total sense to order a top-up of your favourite drugstore mascara or everyday body lotion with your holiday read. So I decided to put 10 of Amazon's beauty best sellers to the test to see whether their top products held up as a worthwhile beauty shopping list. Here's how I got on. Just one whiff of this product was enough to transport me back to the year 2001 when my 12-year-old self was suffering with a particularly nasty bout of dandruff. (Not what you want when your secondary school uniform is a black blazer.) These days, my scalp is mainly flake-free—although I do experience bouts of psoriasis during particularly stressful periods. While I wouldn't reach for this coal tar shampoo when my scalp is feeling healthy, it will definitely be a welcome staple in my bathroom cabinet for those times when my scalp feels itchy and uncomfortable. It genuinely does a great job at ridding your head of flakes and irritation and, if you can get past the strong smell, leaves your hair pretty shiny too. If I had to pick just one product off of the Amazon beauty best sellers list to recommend, it would be this Nip + Fab exfoliator. Infused with 3% glycolic acid and a dose of salicylic acid, and it does an incredible job of brightening the skin, minimising the look of pores and generally leaving your complexion looking better than it did before. While I wouldn't describe it as harsh, it definitely has a gritty texture—which is probably why it does such a great job of scrubbing away dirt and impurities. However, I used it on a day when I had a few active breakouts and didn't find it irritating in the slightest. I used this in the evening after my usual cleanser and found that my makeup glided on incredibly smoothly the next day. Just remember to use an SPF if you're using this product, as the glycolic acid can leave your skin particularly sensitive to the sun. During my teenage years, I exclusively used Maybelline mascaras (its Colossal formula in the distinctive yellow tube was my jam), but it's been almost a decade since I last reached for one. The Lash Sensational formula claims to provide a layered lash look with a brush that captures even the tiniest of lashes—ideal for someone with short, curly lashes like myself. This mascara has a curved, plastic-bristled wand which I feel did a great job at gripping onto my lashes and coating them with product. Although I wouldn't say that it's the most volumising mascara that I've ever used, I really liked how it created a fluttery, fanned-out lash. For me, this is a great daytime mascara or one to reach for when I'm wearing a bold eye shadow colour but don't want to look too overdone. Personally, though, there are other mascaras that I would reach for if I was looking for a bolder finish. Fluttery lashes courtesy of Maybelline. Experimental taste in eye shadow is my own. My guilty beauty secret is that I absolutely adore pore strips. As a beauty editor I know that any pore unclogging or skin exfoliation should be conducted via a carefully curated routine of muslin cloths, chemical exfoliators and regular facials—but who can deny the innate satisfaction that comes with peeling off a pore strip and examining the results? When it comes to pore strips, Biore really is the best, so I was overjoyed that these witch hazel and tea tree oil ones were on the Amazon best sellers list. I applied one on a Sunday night after cleansing my face and sat back in front of the TV for 10 minutes while it did its thing. Once it had set hard, I peeled it off—slowly, slowly—and was genuinely gleeful to see the gory results. Despite having a major love affair with lip balms, I'm ashamed to say that I'd never actually tried this classic beeswax formula from Burt's Bees. Its tinted lip balms and lip shimmers have all worked their way in and out of various handbags of mine over the years, but this was my first dabble with the no-frills best seller. Of course it delivered. A nourishing blend of beeswax, vitamin E and cooling peppermint gave this 100% natural balm a refreshing feel when applied to lips and a healthy dose of hydration. For around the cost of your morning coffee, you really can't go wrong. I would definitely repurchase were I not incredibly fickle when it comes to always trying the latest lip balm launch on the market. When I say I tested this Aveeno body lotion, what I really mean is that I took it home, used it once and then my husband claimed the rest of the bottle for himself. In some ways, that tells you a great deal about the versatility of this gentle formula. Incredibly gentle, it uses finely milled oats and their natural emollients to care for skin—and it's particularly great if you're particularly dry. I'm an avid body lotion user, so my skin is generally pretty good in the hydration stakes. However, this is a great fuss-free lotion if you're looking for a basic formula with a gentle scent that won't interfere with your perfume. My husband, however, suffers from eczema and dry patches and was really impressed with the way this lotion left his skin feeling soft and healthy-looking in just a few days. I'm incredibly loyal to my Beautyblender. (For those of you that don't know, it's an iconic bright pink egg-shaped makeup sponge that makeup artists, celebs and beauty editors swear by for foolproof foundation application.) However, a lot of friends that work in the industry also love these complexion sponges from Real Techniques, so I put my beauty snobbery aside and gave them ago. These are lot firmer in texture than the Beautyblender, but I have to say they really did a great job of seamlessly applying my foundation—although I definitely don't feel they meshed the product with my skin in as natural a way as my usual makeup sponge. However, if you're looking for a purse-friendly alternative (these are half the price for double the amount of sponges), I would definitely recommend them. My brows are unruly at the best of times, so I was a little scared at the thought of using a product promising a 108% improvement in the appearance of eyebrow density. It's packed with keratin, sweet almond extract and polypeptides and promises to transform thin, sparse and uneven brows in 60 days. I'm genuinely surprised to say that I loved this product. Although my brow hairs are long and grow quickly, I do have some sparse patches left from that regretful teenage period of over-grooming them. However, after just a week of using this product I've noticed that my brows are starting to look subtly fuller and are in much better condition overall. Even if you don't need help in the growth department, this serum leaves your brows soft and glossy—and I've found that I've needed to use less of my beloved Benefit Gimme Brow since I've started using it. A definite keeper. Much of the Amazon beauty best seller list is something of a trip down memory lane for me—case in point, this Rimmel London powder. Who didn't have one of these tucked in their pencil case next to their set square? Unlike the set square, however, this powder actually came out regularly throughout the school day to combat the unwanted shine caused by my raging teenage hormones and the unwieldy queue for the tuck shop at break. All these years later and this powder still stands up to some of the best of them. Okay, it might not be as finely milled as some of the higher-end formulas, but it still does a damn fine job of keeping shine at bay. I love a gel manicure. Find the right place (Townhouse on Great Portland Street is my go-to) and a good one can last up to three weeks on my nails. As someone who always—without fail—smudges their nails within moments of painting them at home, a gel mani saves me from infinite amounts of first-world stress. When it comes to removing them, however, I've been known to forgo salon removal in favour of scraping them off myself and damaging my nails in the process. This acetone has hundreds of four- and five-star reviews on Amazon with people claiming its "better than the salon" and "it removes gel and glitter effortlessly" and, I can confirm, they are indeed correct. Okay, you still need to do the tin foil trick—soak a cotton pad in acetone, press it onto your nail then wrap your fingertips in kitchen foil for 10 minutes while it soaks in FYI—but my gel polish glided off afterwards with only a little coaxing needed on a few stubborn spots of polish. My nails are I are very happy. Next up, I tried over 50 concealers—these are the ones that actually work.